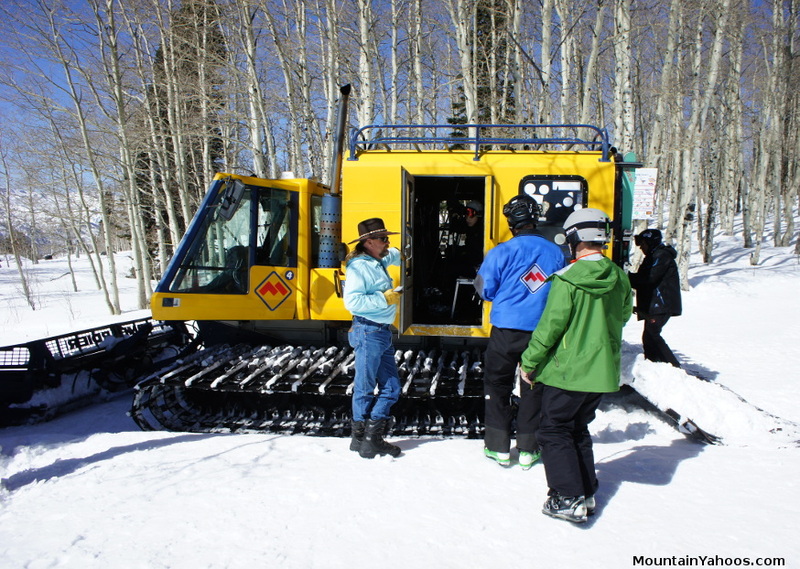 There are a multitude of cat-skiing options at Powder Mountain depending on which area you wish to ski and there are eight areas accessible by the snow cats. Cobabe Canyon Rain Tree Snowcat A few of the trails through here are accessible from the Hidden Express Lift. 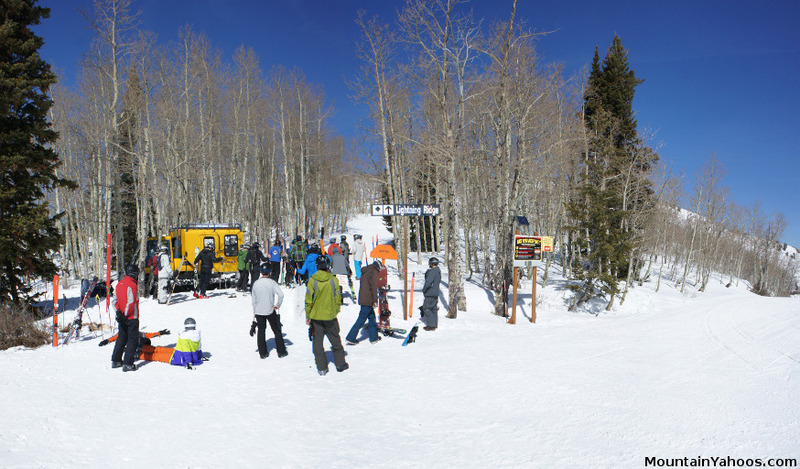 A few more are accessible via a moderate hike from the top of the Sunrise Poma lift. The rest require the Snowcat. Pickup: Top of Sundown lift, then head right along the trail to the gate. Lightning Ridge Lightning Ridge snowcat Trails return to the resort. Access to 700 acres. The single ride cat skiing tickets do not require reservations and are limited to Cobabe Canyon and Lightning Ridge regions. These two cat rides pick up at locations marked on the trail map. 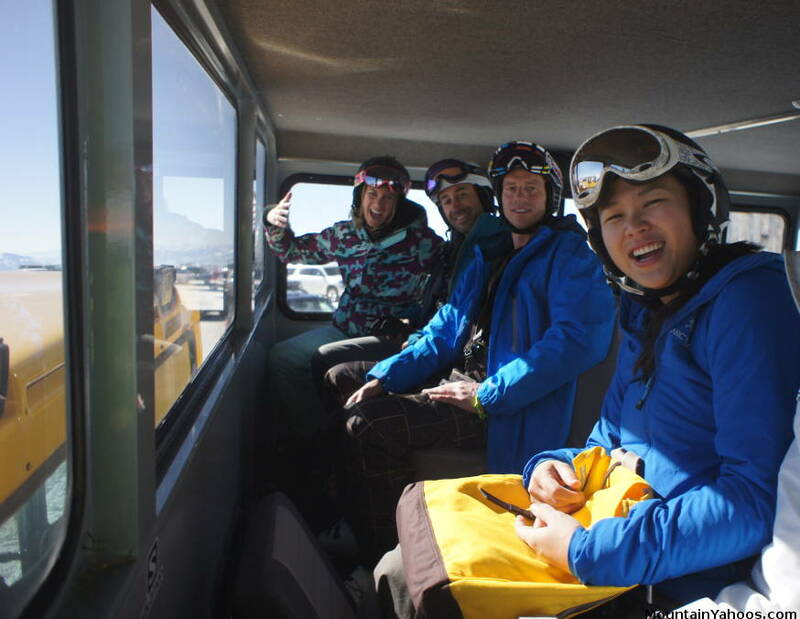 The "Snowcat Powder Expedition" excursions are available for various destinations and durations (1/2 day to 3 days) and cost significantly more. All packages include two guides. For pricing and more information see the Powder Mountain website. One very important note about ski equipment. Since the backcountry does not get groomed, you may travel on a unique path that has never been traveled all winter, never packed down, with seemingly no hard ground beneath you, just soft deep powder. Traditional skis may sink or even dive in deep powder. Seriously consider fat skis with rocker, even if there has not been a fresh dump. An increase in surface area will help with floatation and rocker will help keep the tip from diving deep below you. 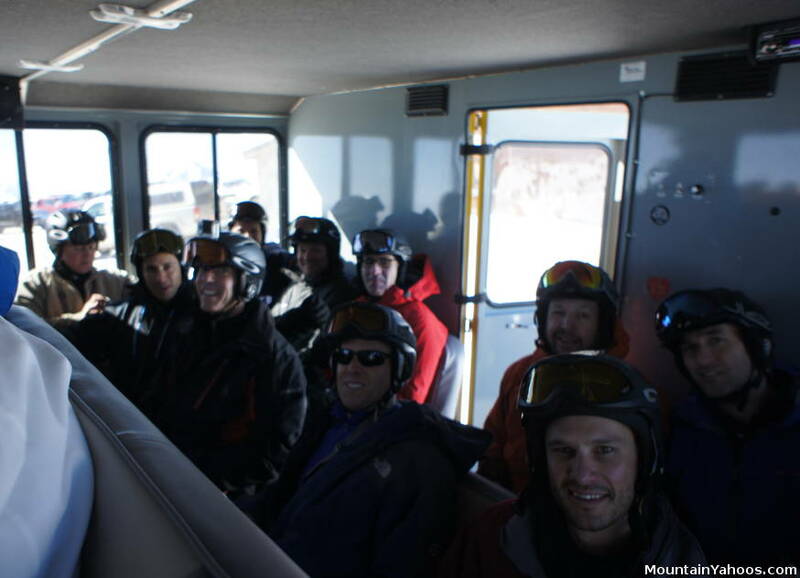 The single ride snowcat pass can be obtained for the terrain off of Lightning Ridge. Take the Sundown lift to the top, turn right and take the green trail "Slow Poke" to the gate. This is where you wait for the snowcat. Typically the cat runs continuously so the wait is usually 20 minutes or less. It is first come first serve. 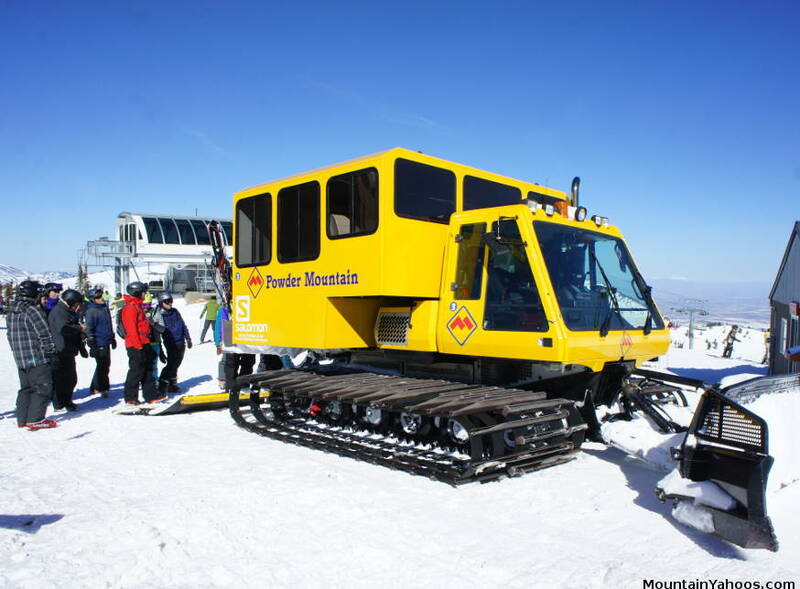 The snowcat will drop you off at a point from where you can ski "Weber Bowl", "Coup d'etat", "Cache Bowl" and all the runs on that face of the ridge. 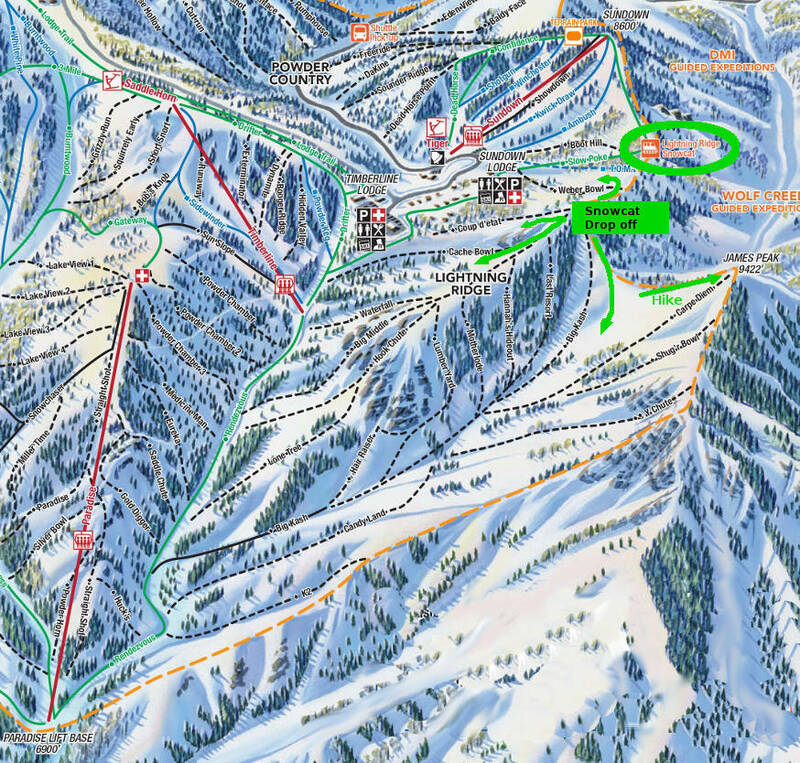 If one goes in the opposite direction towards "Big Kash" (a sign marks the trail), one can ski the runs off of the ridge, the run "Big Kash" or proceed along the ridge and hike James Peak to 9422 feet, the highest peak at Powder Mountain. These backcountry expeditions open up 3000 acres of terrain. The guides and operator will do their best to access fresh powder but of course, are at the mercy of mother nature. The following photos were from a tour of regions Mary's and Lefty's. 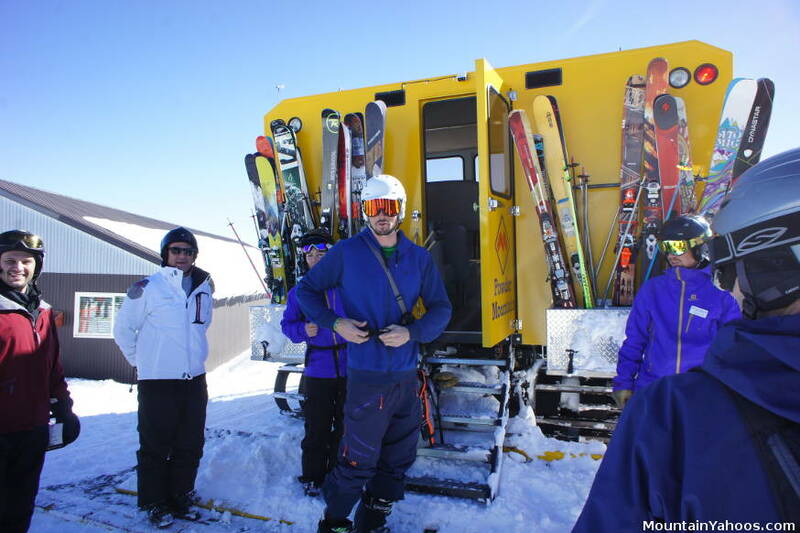 The Snowcat guided "Powder Expeditions" depart from the top of Hidden Lake Express lift.